Did you know that it’s possible to get cavities later in life? It’s true. Too often we consider youth to be the only time during which we are prone to cavities. But, unfortunately, it’s also possible to get cavities later in life, especially after we’ve aged past middle age, and the number one cause is often dry mouth. There are other reasons, too—aging is a process that affects all aspects of our bodies. (Too often we consider the teeth to be different than the rest of the body). Dry mouth is not a normal part of aging, and it is possible to have the condition treated. But it is also important that you check the side effects of your medications, and, in the event that there’s a possibility to adjust medications to alleviate dry mouth as a symptom, you should consult your primary physician. But know that it is a possible side-effect for more than 500 different medications; these medications are varied, but include medications for asthma, high cholesterol, pain medications, anxiety and depression medications, high blood pressure, and even common antihistamines. Your dentist at Premier Smile will be able to recommend several different methods to help alleviate the symptoms of dry mouth. Remember when you experience the symptoms of dry mouth to keep hydrated. You should carry a water bottle with you when you go out, and drink water even at the times when you’re not thirsty. You can also use sugar-free gum—make sure it’s sugarless and without hard granulated crystals—to keep your mouth from going completely dry. And avoid drinks such as coffee and alcohol. Remember that’s it’s very important to keep your teeth clean even when you’re older. You should brush your teeth twice daily—for at least two minutes—and floss at least once. And it’s imperative that you remember to visit your dentist, regularly, so that your dentist at Premier Smile can both clean your teeth and determine any possible changes in the mouth long before those changes become difficult problems. We all know that flossing is important. But why? Why, daily, should we have to slip that strand of floss between our teeth, clean out the space down to the gum line? Don’t a toothbrush’s bristles get far enough into those narrow spaces? The number one reason to floss is to help to rid the surfaces of the teeth from harmful bacteria that can develop plaque, which, if allowed to thrive, will then harden into a substance called tartar. Tartar cannot be removed by twice-daily brushing and flossing. Bacteria that are allowed to thrive can cause chronic conditions such as gingivitis or the more severe periodontal disease. Bacteria allowed to thrive can be responsible for halitosis (bad breath). Flossing is relatively simple, and if you are someone who doesn’t have a lot of experience (it’s estimated that over thirty percent of adults who are over the age of thirty don’t floss—at all) with a week’s worth of practicing you will have mastered the skill. First, start out with a strand of floss about 12-18 inches in length. (It doesn’t matter which type of floss you use; floss comes in numerous sizes, colors, and flavors—they all work!). Wrap the ends of the floss around your index fingers and work it into the space between two teeth. Slide the floss between the teeth keeping your hands at opposing angles that make the floss bend around the tooth—it should look like the letter C. It’s easiest to begin at a tooth at the edge of the mouth, or a tooth in the very center, so that you will remember which teeth you have already cleaned. If you have issues with dexterity, there are appliances which can be used with just one hand. One such product is a soft plaque remover, which resembles something like a soft toothpick, and the other appliance is a flossing aid, which traps the ends of the floss between two prongs, and the flossing aid can be maneuvered over the spaces between the teeth, using just one hand. To schedule your next dental checkup, call Premier Smile today. A healthy and vibrant bright-white smile is important for most people. A healthy smile is a confident smile. And, while there are many things that can cause a smile to appear less white, less vibrant, there are a few at-home remedies (the best remedy for a bright white smile is to keep to twice yearly dental visits, but these are tips for the times between) that work well to keep teeth white. Whitening Toothpaste: Does it work? It does work. And you can find tooth whitening versions of almost every brand of toothpaste in the aisles of the grocery store. But which one should you choose? 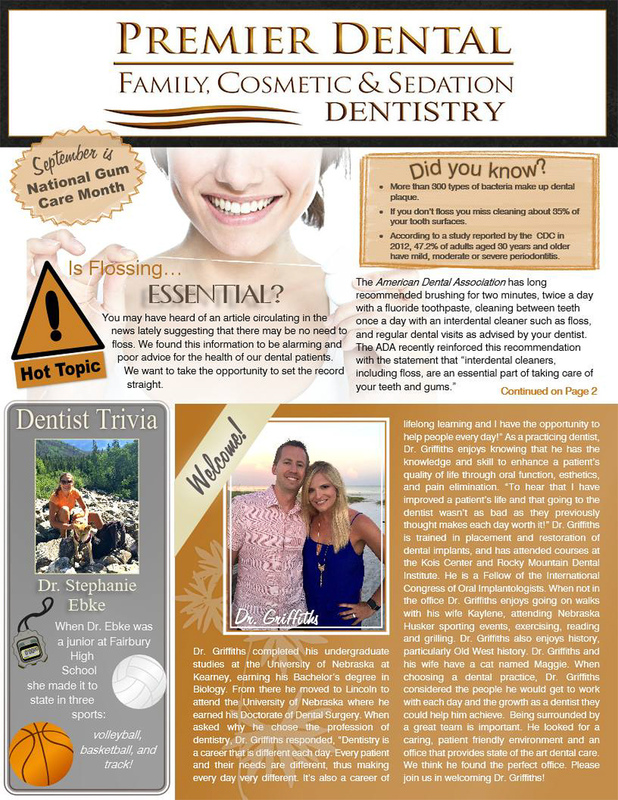 Choose a brand that has the ADA (American Dental Association) seal of approval. This is evidence that the ADA has tested the whitening toothpaste to be safe. Whitening toothpaste, however, doesn’t do more than remove the surface stains on the teeth. It doesn’t change the color of the teeth—for that you will need to have your teeth bleached by either a take-home tray or an in-office visit at Premier Smile. Whitening toothpastes remove stains by scrubbing the surfaces of the teeth gently with mild abrasives. It does also contain some chemicals which help to break down those surface-level stains. Some modern whitening toothpastes even contain a certain chemical which can adhere to the surfaces of the teeth, giving the teeth a whiter appearance—but this is only a cosmetic fix. If you use whitening toothpastes twice daily then you should notice a whiter smile within two to six weeks. And while most whitening toothpastes do try to do minimal damage to tooth enamel (the hard protective outer-coating on teeth) it may be best to consult with your dentist at Premier Smile before you begin a long regimen of brushing twice daily with those types of toothpastes. Premier Smile is ready for you when you want an in-office whitening, or a take-home dental tray. If you have any questions as to tooth whitening options, or just need to make your next appointment to see you dentist at Premier Smile, then call today. Saliva is important to clear away food and other debris from the mouth, and it neutralizes acids caused from harmful bacteria. Saliva is our bodies natural defense against things like tooth decay and gingivitis. Dry mouth (we’re talking about the condition of perpetual dry mouth, not the more common and fleeting dehydrated sensation we all experience) is the cause of an inadequate flow of saliva. Usually the condition is a side effect from certain medications like antihistamines, decongestants, pain killers, etc. (there are many others). Symptoms of a dry mouth vary, but the most common are: a sore throat, a burning sensation somewhere in the mouth, or a person might have trouble speaking for long periods of time, and they may find their nasal and throat passages also feel dried out. If the soft tissues within the mouth become dried out, they can become enflamed and irritated, and more susceptible to infection. Other side-effects of dry mouth include bad breath, and, if a patient wears dentures, the lack of saliva will cause the dentures to adhere loosely to the gums. There is a relief from the condition. Sometimes just increasing the amount of fluids can alleviate the symptoms. 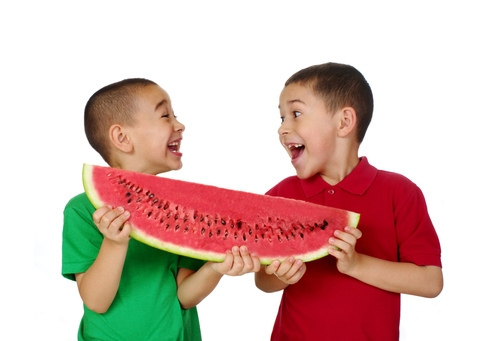 Sugar-free candies and sugar-free gums are effective at increasing saliva. Remember also that caffeinated drinks—coffee and soda—and alcoholic beverages can cause slight dehydration, and should be used sparingly, if at all, if a patient is suffering chronic dry mouth. If fluids don’t immediately take care of the problem, then your dentist may prescribe an artificial saliva—it’s an over-the-counter medication that will help to keep the oral tissues moist, and help to keep the teeth clean of debris. Also, make sure to keep to a strict routine of brushing twice daily and flossing once. It may also be beneficial to have additional fluoride during this time, because the fluoride will help to fight tooth decay. Remember to keep with your regular dental checkups, twice yearly. Your dentist will be able to monitor your dry-mouth condition; your dentist will also be able to guide you to the appropriate medications or at-home treatments as to how to solve your dry-mouth condition. If you have any questions about dry mouth, or just need to schedule your next appointment, call Premier Dental and make your next appointment today. Did you know that our teeth can be easily damaged? True story, teeth need to be well cared for and protected. But, there’s also unavoidable circumstances which can lead to tooth damage. Consider these symptoms: you feel sharp pain when you bite down, chewing, and the pain is only on one side of the mouth; the pain could either be localized to a tooth or area around the tooth, or the pain could be pervading throughout the teeth, gums, jaw, etc. on one side of the mouth. What then (in a healthy mouth, a mouth that hasn’t sustained recent injury, a well-cared for, cleaned mouth) could the pain be caused from? It’s possible that the problem could be a cracked tooth. Teeth crack for the obvious reasons like injuries, or chewing on hard foods, but there are a few, lessor known reasons, some you may not realize are even happening within your mouth. Tooth grinding is one cause, and many people may not realize that they grind their teeth while they sleep. Also, you may chew foods with uneven pressure. It could also just be that your aging, that past fillings, etc. are breaking down, and the tooth’s structural integrity is no longer supported. It’s difficult to know if painful symptoms are caused by a cracked tooth, because a crack may be too fine to see, or it may be in a location not easily found without the proper dental equipment. Regardless, it’s not something you will want to suffer through. Symptoms like these most often won’t just go away, and it could greatly affect your quality of life. It’s absolutely important to pay a visit to your dentist if you are in pain. If it’s determined to be not the cause of a cracked tooth, but of something more serious and more difficult to treat, early treatment is important. If it is a cracked tooth, your dentist may treat it with a variety of methods, depending upon the severity of the damage. Remember, don’t suffer through dental pain. Call us TODAY (402) 718-8737 to schedule your appointment today! Cold Sore Solutions That Actually Work! Well quite honestly what "works" when it comes to cold sores is management. And, specifically preventing, treating and eliminating the transmission of this most annoying of viruses. At Premier Dental we offer laser treatment for these viruses. If you catch the lesion in time with laser treatment, you can prevent the cold sore from breaking out. As soon as you feel that tingling sensation that warns you of an oncoming sore, schedule an appointment for a laser treatment. If you already have a full blown sore, the laser will take away the discomfort and help it to dry up and heal much faster. The herpes simplex virus that causes cold sores cannot be cured. After you get infected, the virus stays in your body for the rest of your life. If you get cold sores often, laser treatment can reduce the number of cold sores you get and how severe they are. It often happens that people will get cold sores that reoccur in the same spot every time. After being treated with a laser multiple times, there is a good chance that sore won't appear again in that spot. Eat Raw, Alkalizing Foods: Fruits and vegetables are super-good for you. Cruciferous Vegetables: Clinical studies are beginning to suggest that veggies like broccoli, cauliflower, cabbage, brussels sprouts, and kale are of great benefit to cold sore sufferers. Avoid Arginine: Cold-sores need the amino acid arginine to grow, so if you can limit the excess intake of this amino acid, you may be able to keep frequent outbreaks at bay. Nuts, chocolate, oats, and some protein shakes are high in arginine. Preventing a cold sore from appearing is indeed your best medicine, and if you pay attention to what your body tells you, it is possible to dramatically reduce outbreaks. When a cold-sore does gift you with its presence, here are a few things you can do to minimize its pain, size and duration. Laser It! At the first sign of tingling, call Premier Dental at 402-718-8737 and schedule a 10 minute appointment for laser treatment. Ice It! Can't get to the office right away, when you feel that first sign of tingling wrap an ice cube in a paper-towel and place it on your lip where you feel the cold-sore coming on. Often two back-to-back applications of an ice cube until it melts can help reduce the pain and swelling that accompanies the sore. Slather? Not Now, But Later. Cold sores love warm, moist environments, and this is precisely the environment you present to a cold-sore when you slather it in cream for days on end. You're best to let it dry out to the point where it is no longer painful, and then begin applying cream or lip balm to minimize splitting. As the cold sore resolves itself, it's best to keep your lips moist to prevent bleeding, which also aids in the healing at this stage. Avoid sharing food utensils, towels, toothbrushes, or any other item that could come in contact with your mouth. Also, be sure to avoid touching the cold sore and then later touching your eyes or genital area. In fact, your best course of action is to avoid touching your mouth at all during an outbreak, and not again until the scab has dropped off completely. And healed over. This can take some weeks, as you know. Kissing, and other aspects of intimacy that involve your mouth should be avoided entirely. Wash your hands often-this cannot be stressed enough to avoid spreading the virus. Having a cold sore is not the end of the world. Nine out of 10 of all people get at least one cold sore in their life, so there is no need to hide in the closet. Understand your triggers, find a solution that works, don't spread the virus, and stay healthy! 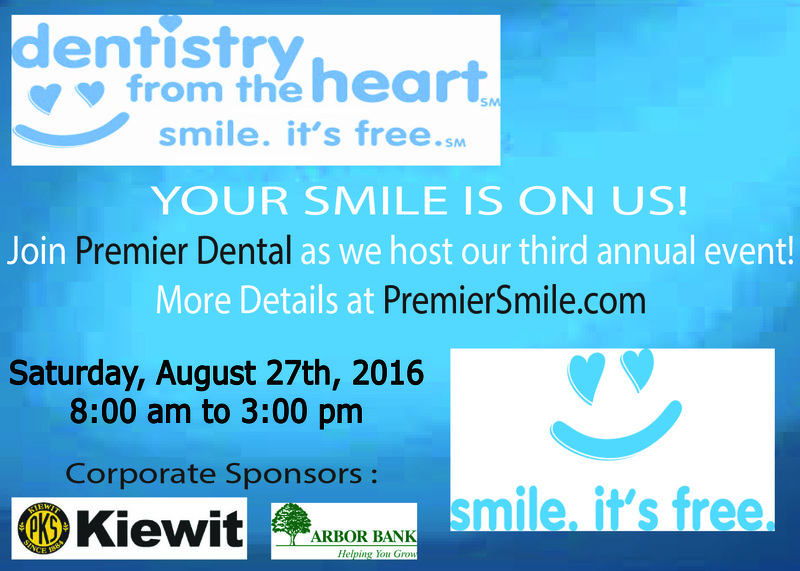 Dr. Dan Beninato will host Premier Dental's Third Annual Dentistry From The Heart (DFTH) event – providing a FREE day of dental care to more than 125 residents. 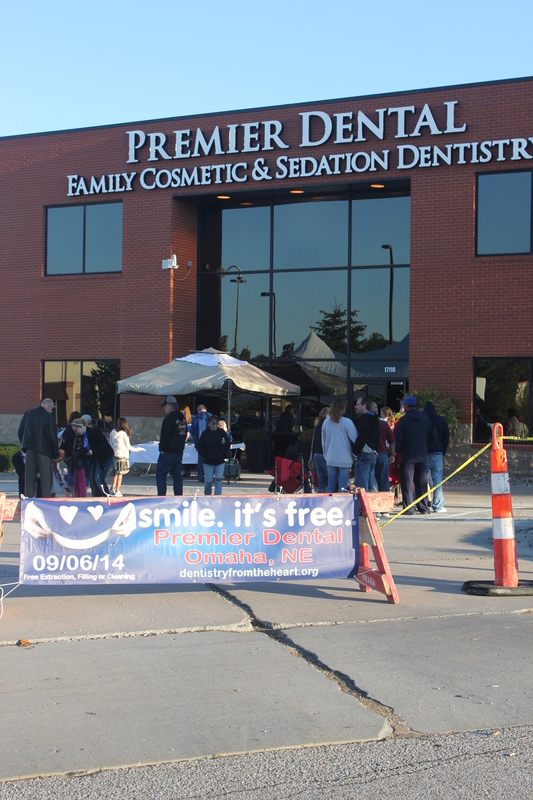 Dentistry From The Heart patients travel from across Nebraska and Iowa every year to Premier Dental for the annual free day of dentistry, happening on Saturday, August 27th, 2016. Annually, Dr. Beninato and his team of dentists, volunteers and sponsors provide patients with a free extraction, filling or cleaning. This is the third annual event for Dr. Beninato, who has donated over $90,00 worth of free dental care to more than 200 patients. The goal this year is to treat 190 patients and give away $75,000 in free dental care. Services will be provided on a first come first serve basis, guaranteeing the first 125 patients to be seen. If you are looking for a way to help out in the community and pay it forward join us on Saturday, August 27th between 9 am and 2 pm for the American Red Cross Blood Drive. To register please visit www.redcross.org/give-blood and enter donor code PremierDental. All presenting donors on Saturday who register with an email will receive a $5 Amazon gift card from the American Red Cross! Why is it that so often when we speak of healthy teeth we also mention fluoride? It’s because fluoride fights cavities naturally, being a natural mineral found in lakes, oceans, rivers, etc. Because of it’s beneficial properties, in most places its also added to the drinking water. Fluoride protects the teeth by making the outer surface of a tooth (this surface is called the enamel) more resistant to the acids in our foods and beverages, which reduces the chance of chronic oral problems such as tooth decay. Our tooth enamel breaks down with age, with the foods we eat, with sugary beverages, etc. 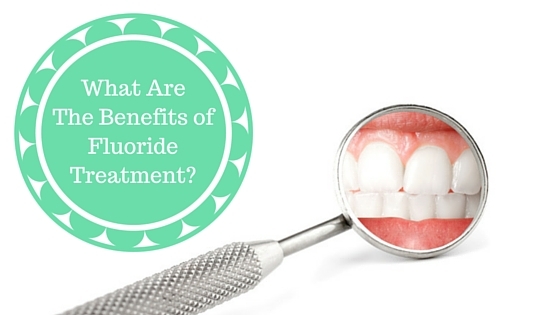 Fluoride then helps rebuild a weakened enamel to the threat of tooth decay. While fluoride is found in most water supplies in the United States—about seventy-five percent—it’s also found in most toothpastes. A quality fluoride toothpaste is an essential to the battle against tooth decay. Dentists recommend a fluoride toothpaste, because when fluoride is applied to the surfaces of the teeth there is a twenty-five percent greater chance at not contracting cavities—this, of course, is variable due to other factors such as diet, etc. Make sure to brush your teeth twice daily with a fluoride toothpaste, and floss at least once everyday. Children of any age may use a toothpaste with fluoride, however there are amount restrictions with the age and ability of the child. For children who cannot spit out the toothpaste, a very small amount of toothpaste, no more than the size of a grain of rice should be used. When a child is able to spit out the toothpaste reliably, the amount of toothpaste can be upped to an amount similar to the size of a pea. There are also mouthwashes that contain fluoride, however a child under the age of six may be more likely to swallow the mouthwash than to swish it about his or her mouth, so mouthwashes should only be used by adults and older children, as mouthwashes can contain other substances which are not healthy if ingested completely. Regular check ups with your dentist—recommended twice yearly—and a consistent schedule of oral hygiene should keep your mouth healthy and free of gum disease. Please contact Premier Dental for all of your dental needs today! Often we hear terms like gum disease or gingivitis, but what do those terms actually mean? How are the diseases caused? What can we do to prevent it? Believe it or not, our mouths are full of bacteria (Remember that not all bacteria are bad! ), and these bacteria form a sticky layer on the surfaces of teeth, which is called plaque. Plaque is a problem. Plaque is not easy to get rid of, although regular brushing—twice every day—and regular flossing—once everyday—should help to keep the plaque on the teeth at bay. However, plaque that has not been removed from the surfaces of the teeth by regular brushing and flossing, hardens into a substance called tartar. Tartar can not be removed by brushing and flossing alone, and it must be removed in a cleaning by your dentist. Gingivitis is caused by a tarter build up on the teeth for a prolonged period of time (this is one of the many reasons why regular dental visits are so important!). The bacteria on the teeth cause an inflammation of the gums. This inflammation is called Gingivitis. When it happens the gums are bright red and bleed easily. The symptoms of Gingivitis can be cured with regular habits of brushing and flossing, and a visit to your dentist for a cleaning—your dentist may even recommend a mouthwash. 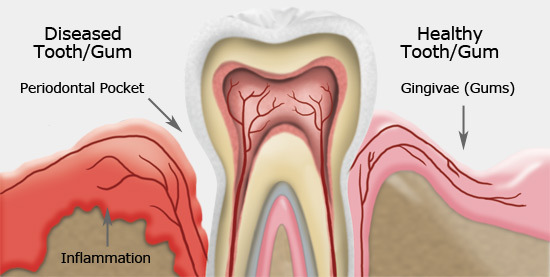 While gingivitis is considered gum disease, a more serious form of it is called periodontitis. Periodontitis is the condition resulting from an untreated case of gingivitis. 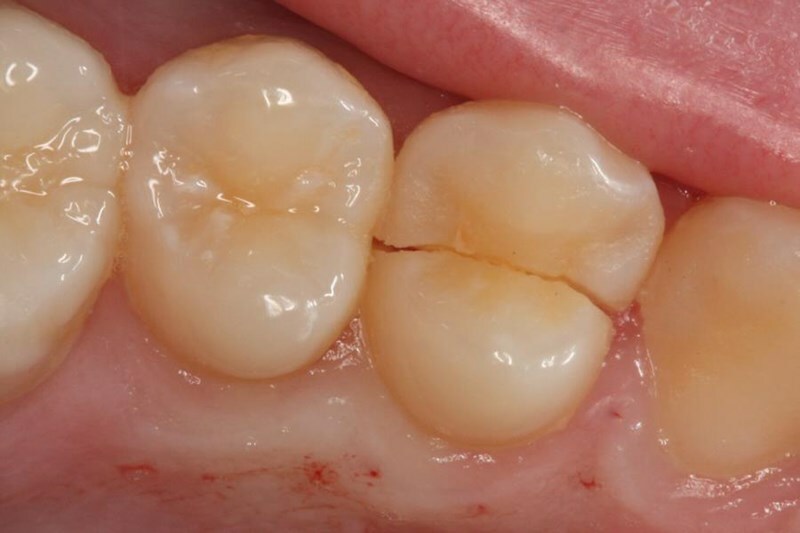 With periodontitis, the gums separate from the teeth and the spaces left in the separation become infected. Periodontitis can lead to damage to the teeth, gums, bones in the jaw, even necessitate the removal of teeth. Obviously the methods to prevent these diseases are simple and well known: brush, floss, visit your dentist. However, even a healthy individual, who performs his or her oral health flawlessly each and every day, could succumb to the symptoms of gum disease. There are other preventable factors. Consider cutting down on sugary foods and drinks; try not to snack consistently throughout the day; stay away from tobacco. You may also be taking medications that limit your saliva output (saliva washes debris from the surfaces of teeth), and you may be genetically predisposed to these conditions. There are hundreds of types of toothbrushes. Toothbrushes range in shape, firmness, features, and even mechanical or manual. With so many options, what toothbrush will work best for you? One option is to visit your dentist, or ask at your next appointment. Your dentist can direct you to a toothbrush that will work great for your mouth. But, what if you are not able to visit the dentist soon, and you’re standing in front of an entire aisle of toothbrushes, trying to decide on a type? Here’s a few things to consider if you are looking for your next, best toothbrush. Firstly, consider the firmness of the bristles. 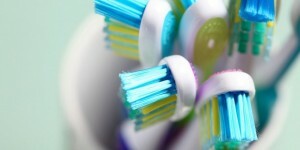 Toothbrushes often come in bristle hardness determined at firm, medium, and soft. Most people will want to use a medium to soft bristled toothbrush, as a firm-bristled toothbrush may do damage to the teeth and the gums. Then consider the head shape. Toothbrush head shape and bristle shape differ widely by brand. Pick a toothbrush that you’ll feel comfortable using, and also look for the ADA—American Dental Association—seal on the package, as this will indicate that this brush meets or exceeds the standards of the ADA. Also, if you are choosing between a mechanical brush and a manual one, there are a few things to consider. Firstly, if you are someone who has difficulty using a toothbrush to clean all areas of the teeth, then maybe a mechanical toothbrush, which usually has some type of spinning or vibrating head, will help you to clean the surfaces of the teeth. A mechanical toothbrush is also a good choice for children, because a child may find the toothbrush to be fun to use, and it will hopefully increase the likelihood of developing a good brushing routine. A toothbrush isn’t everything, however. Even if you have the best toothbrush equipment made, you can still brush your teeth and gums too hard, removing enamel and damaging gum tissue. So, brush regularly, clean the surface of the teeth, removing that unwanted plaque, but don’t overdo it. If you have any questions about toothbrushes, or the proper way in which you can use them, make an appointment with your dentist. 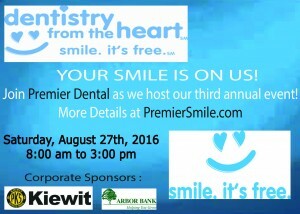 Visit Premier Smiles for all of your oral health care needs! 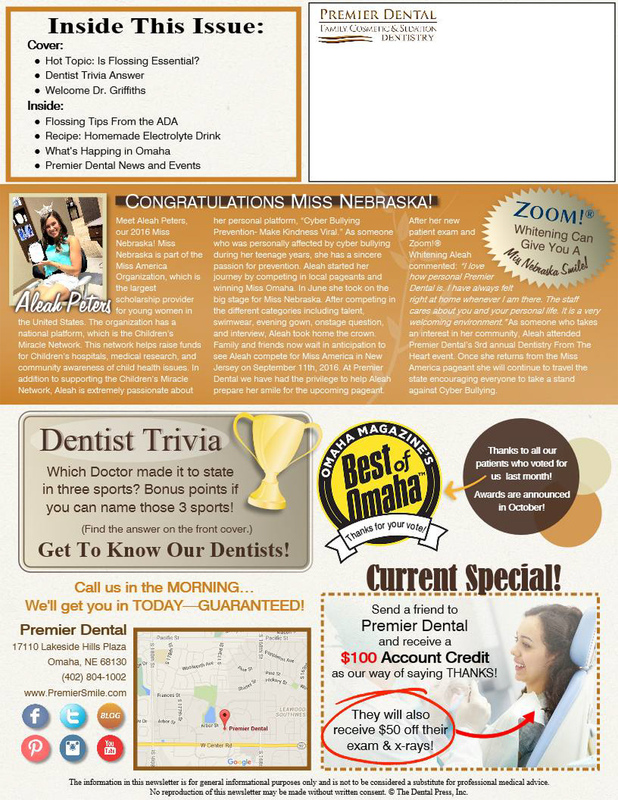 Omaha's Best Dentist! 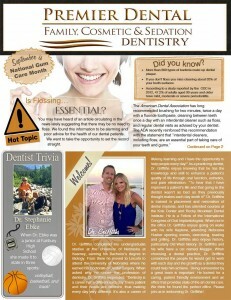 Root Canal Awareness Week begins on March 27th and continues on until April 2nd. Root Canal Awareness Week, established by the American Association of Endodontists (AAE), was created to educate the public about misconceptions about root canal treatments and the true benefits of this virtually painless procedure. Root canal treatment saves more than 16 million natural teeth each year! Endodontic treatment treats the inside of the tooth, endodontic treatment is necessary when the pulp becomes inflamed or infected. The inflammation or infection can have a variety of causes; deep decay, repeated dental procedures on the tooth, faulty crowns, or a crack or chip in the tooth. In addition, trauma to a tooth may cause pulp damage even if the tooth has no visible chips or cracks. 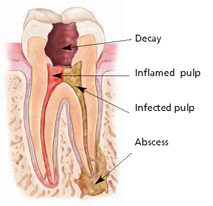 If pulp or inflammation or infection is left untreated, it can cause pain or lead to an abscess. A smile that reveals a mouthful of bright white teeth is a confident smile. A white smile is a sign of good oral health; a sign that someone brushes their teeth twice daily and flosses. But our smiles can loose their brilliant sparkle even with terrific oral care. Our teeth are effected by many different things. Food and drink can stain teeth: coffee, tea, and red wine are primary, everyday culprits, because they all contain intense color pigments that can attach to the enamel of the tooth. Tobacco, smoked and smokeless, stains teeth—The nicotine and tar in the tobacco turns teeth a brown to yellow color. One factor that we are all unable to control is that when we age our enamel on our teeth breaks down, and the softer underside called dentin shows through—dentin has a slightly yellowish pigment. Medications such as antihistamines and some high blood pressure medications can cause a darkening of the teeth. You don’t have to quit drinking coffee or red wine to have white teeth. Teeth whitening is a simple process that can be done in a variety of ways both at home and at the dentist’s office. Your dentist can help you decide which type of whitening process is best for you. A simple solution is a whitening toothpaste. Whitening toothpaste works because of the abrasives inside the toothpaste that scrub the surfaces of the teeth. Toothpaste can only clean the surface of the teeth and it wont actually change the color of the teeth. Peroxide gels that are placed in a tray that fits your teeth or whitening strips are another option. These two methods can be used at home at the discretion of your dentist. Also, in office visits, which usually only require one office visit. In the office your dentist will protect your gums and apply a bleach to the teeth. While there are no drastic side effects to tooth whitening, some people may experience tooth sensitivity, because the peroxide in the whitener penetrates the dentin of the tooth and irritates the nerve. 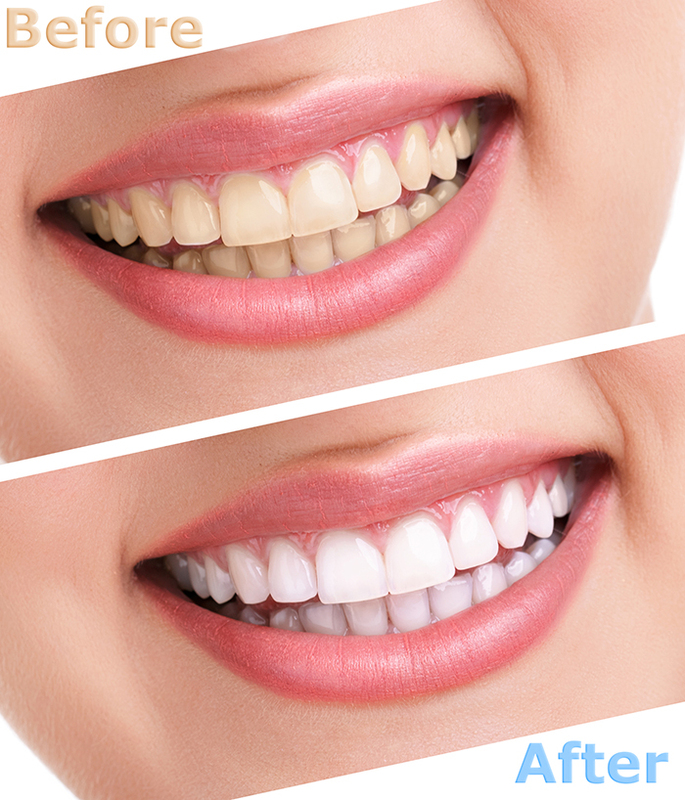 If you are interested in teeth whitening, please schedule an appointment with one of our today! According to the Centers for Disease Control and Prevention, half of adults age 30 and over suffer from some form of gum disease. Caused by plaque buildup, gum disease is an infection of the tissue that surrounds and supports the teeth. In its advanced stages, it is known as periodontal disease. If left untreated, it can result in the loss of tissue and bone that support the teeth, causing teeth loss. It’s a preventable condition seen far too often by Drs. Beninato, Larson, Berry, and Bost. It is important to note that the scientific evidence supporting the spread of periodontal disease is limited and ongoing. The best way to prevent gum disease is through proper plaque control, which includes brushing, flossing, mouthwash, and twice a year trips for professional cleanings. Contact our Omaha, NE office if you have any questions about periodontal disease. Join us for Dentistry from the Heart and a Blood Drive! 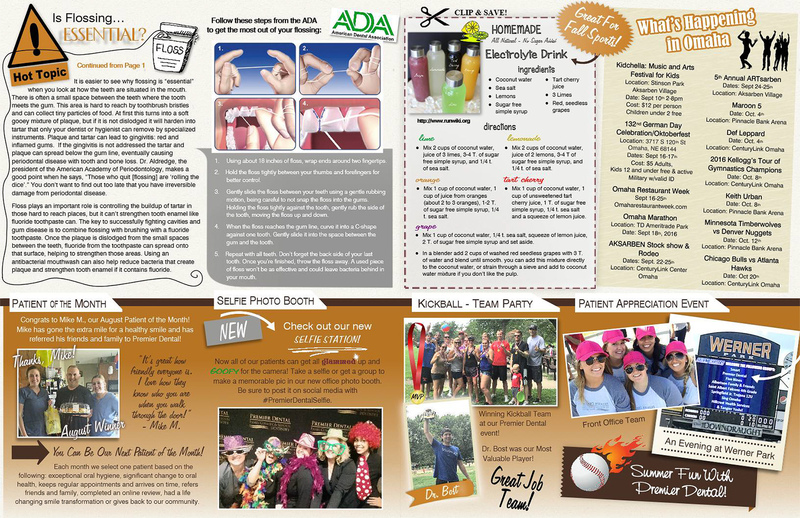 Summer is upon us, and exciting things are happening here at Premier Dental! We're excited to bring our community together for a great event. Dr. Beninato and our team are excited to be hosting a Dentistry from the Heart event on Saturday, July 18th. From 8a.m. - 3p.m., we'll be providing free dental care to families in need. Patients ages 19 and older will have a choice of a cleaning, filling, or extraction. All treatment is first come first serve. Just be sure to bring your photo ID and a list of current medications and health information! We're also teaming up with the American Red Cross to host a blood drive the same day from 8a.m. - 3p.m. - you can click here to schedule a donation appointment time. The code to register is Premierdental. Any blood donors who are not currently patients will receive a free exam and x-rays! Current patients who donate will receive a free gift. You will also have the opportunity to sign up to be an organ donor if you are not already one. It should be a fun day of stepping up and helping others in our community! We'll even have Casey, the Storm Chasers mascot, and Q 98.5 broadcasting live from the office from 10a.m. to noon. Anyone interested in volunteering at the event can email us. We had a great time at last year's Dentistry from the Heart event, and can't wait to see you July 18th! It’s summer—that wonderful time of year when fresh and delicious produce abounds. Drs. Beninato, Larson, Berry, and Bost will tell you that your teeth, gums, and tissues all rely on an appropriate mix of vitamins and minerals to maintain good oral health no matter what time of year. In previous studies, nutrients in fruits and vegetables such as dietary fiber, potassium, and antioxidants have all been associated with a reduced risk for cardiovascular disease and cancers, including oral cancer.